Sourcing: With outstanding networking and complete data bank of potential applicants from various categories, we have comprehensive access to a large number of job seekers. Selecting and Short Listing: We are well experienced with business operations and industrial necessities of different sectors that allow us to conduct tests of potential candidates in an optimum professional manner. 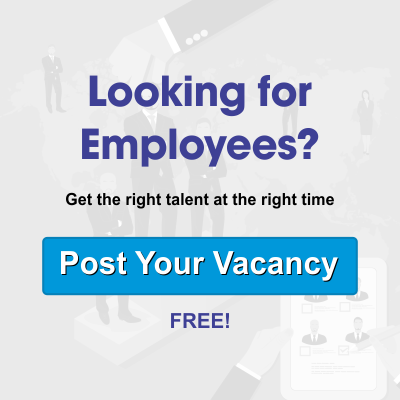 With due support from industry experts and HR professionals, we are able to put selection rounds, handle choosing of appropriate candidate for vacancy. Arranging for Schedule Interviewing: After short listing of candidate at our side, we conduct interview as per the mutual accessibility of both the parties. Other HR Related Services: The other HR related services given by us are with proper vision into various viewpoints of organization and employee behavior. Quick Help: If an employee resigns without notice, a phone call to our recruitment agency can provide the temporary help you require. You can also appoint multiple employees for a large job that may survive only a few days or a fluent employee required for a special, one-time project from agencies. Qualified Applicants: We possess a pool of qualified applicants. Not only do prescreen of the applicants, but also provide several tests an aspirant must pass before employment. These include elementary tests, such as words per minute typing up to software program understanding for the field, such as accounting or word processing programs. Flexible Time: As the candidate works for the employment agency, you can use his or her services for as long as needed. This may be numerous days, while your regular person is out with the flu, or for a longer period. Long-Term: One other benefit of our professional recruitment agencies is that you can change a special worker into a long-term employee. You get the benefit of observing his or her work and learning work habits, aptitudes and whether they fits into the company environment before the hire. Transforming an employee may cost you a fee, as most agencies normally charge a percentage of the annual pay for the conversion, but the fee may be ignored per the initial contract. So in the event that you are seeking for thebest Recruitment Agencies in India, we are the last goal for you, where you would get qualified and gifted representatives for your association.